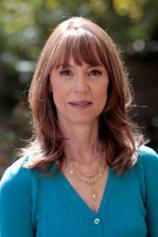 Bestselling author Lisa See has been entertaining readers for years with absorbing, comprehensively researched novels. She has brought to life the strength of ancient Asian cultures through her Chinese heroines. Her books span eras and locations from the early 20th century to current times, with an emphasis on the profound bonds between friends and families. See now shifts her focus to Korea in her latest masterpiece. Most of us, too young or not yet born in 1947, know little to nothing about the region and its culture before the first events leading up to the Korean War took place. The effects on pre-Korean culture and its aftermath reside primarily in the tales and memories of returned, aging American veterans. In fact, perhaps our most vivid knowledge is framed through reruns of the still-popular “M*A*S*H” series. "THE ISLAND OF SEA WOMEN is a must-read for anyone who treasures the strength of the powerful female relationships that hold us together through trying times." In THE ISLAND OF SEA WOMEN, See explores the complex and unique matrilineal relationships of this ancient culture through the Jeju Island community. Young-sook and Mi-ja are training to become members of their village’s all-female diving collective. Their story begins in the mid-1930s when the young girls learn the ancient diving skills to retrieve the sea creatures that are the main source of income and food for their island culture. They work strenuously to hone their skills as they mature to become the primary support for their families after they marry and have children of their own. We are introduced to this unique family structure where the males stay at home and care for and raise the kids as women rule the village. Young-sook and Mi-ja have become as close as sisters, even though they are from completely different backgrounds. Young-sook’s mother is the powerful leader and head of their village diving collective, and Mi-ja's father is a Japanese collaborator, which marks her as a traitor, even as a child. At age eight, the two girls ignore their class differences and forge a complex relationship that will follow and haunt them into old age. Their story is so profound that when the brutal events of the descending war touches their island, I literally had to lay this enthralling book aside for a full day. Don’t allow my reaction to this beautifully written novel to discourage you from picking it up today to become acquainted with Young-sook and Mi-ja. Their story celebrates women’s relationships --- their heartbreaks, strengths, love and forgiveness. I was a small child when the Korean War first broke out, and I am embarrassed to admit my ignorance of the time frame in which this devastating war took place. Sandwiched between World War II and Vietnam, it seemed to become a mere blip on the wartime radar. That Korea remains divided --- its ancient cultures and way of life forever disrupted --- and has resurfaced as a nuclear threat on the world stage over a half-century later, with American troops still embedded there to help keep the peace between North and South, makes this story even more meaningful. THE ISLAND OF SEA WOMEN is a must-read for anyone who treasures the strength of the powerful female relationships that hold us together through trying times.